Saving water saves money and the environment. 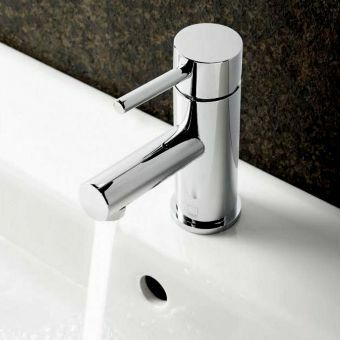 All Vado taps can be fitted with a flow regulator producing savings of up to 75%. Their global enterprise is based on customer service, exhaustive design and a broad product base all of which have WRAS and TMV Scheme approval. Whether traditional or contemporary, for basins or baths, Vado taps and mixers are bathroom items with a strong aesthetic character and an emphasis on excellent design. Focusing on the world of taps, mixers and shower units, VADO units come with a highly commended pedigree of British design and manufacture. Each item is backed up with a VADO guarantee, giving buyers total confidence when purchasing any of their items. Within these ranges, you will find fittings and fixtures to provide solutions for a variety of spaces. 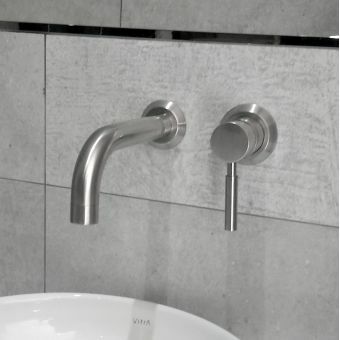 Wall mounted and deck mounted mixer taps provide a sleek, modern appearance for the wash space, while traditional tap sets for bath and basin alike are available for the period interior. Being recognised as leaders in their field, VADO have exported their products to 60 countries globally. Harnessing the potential of infra-red, digital technology, VADO have created the i-tech series of taps and mixers that offer a totally touch free experience. By removing the needs for manually operated levers or valves, water flow is controlled via motion sensors. With this arrangement, the bathroom or restroom with i-tech becomes a much more hygienic and user friendly environment. VADO are capable of catering for a range of tastes and styles. Whether you prefer the cool, measured look of Scandinavian interiors, the crisp, geometric minimalism of urban styles, or the time honoured look of the traditional suite, VADO have the answers. Committed to making a positive contribution to the environment, their H2Eco units have been designed with efficient water usage. Resulting in lower long term running costs, these are a sensible option for the savvy consumer looking to save money over time. 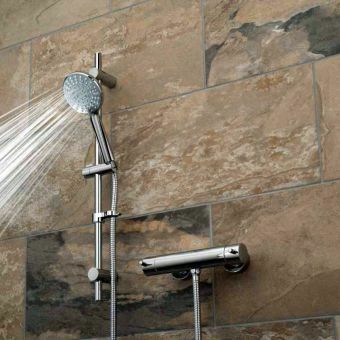 This Cheddar based company with 20 years of experience in the bathroom industry to call upon, has built a proud reputation in exceeding customer expectations, and constantly striving to provide the marketplace with innovative and high quality Showers & Taps. Since the birth in 1988 Vado has been continuously evolved in designing and developing high quality bathroom showers and taps for the domestic and international markets. The company continues to grow internationally, selling to over fifty countries worldwide including prestigious hotel chains such as the Al Manzil and the Hyatt Regency hotels in Dubai, in fact Vado products can be found in some of the most prestigious hotel and residential developments throughout the world. The range of products from Vado spans traditional mixers to contemporary designs that lead the latest fashion trends of interior design. Although the water pressure system in the UK is usually low, Vado products are suitable for these and have regimental quality assurance and competitive prices. The continual investment in product development ensures they are recognised for being at the cutting edge of design and technology, with the high service levels delivered in a professional and personable manner. Vado's dynamic management team cultivate new ideas, flexibility and customer service excellence throughout the organisation. Elevate the profile of your bathroom by adding brassware from the Ascent range. Expertly crafted into a simple yet iconic forms, Vado Ascent is a coherent and well thought out collection of contemporary pieces, inexpensively priced to give a wider audience access to stylish, luxury items. Smooth, polished surfaces and a an intuitive and ergonomic lever handle complement each other naturally, giving a sense of cohesion and purpose to every piece. Whether installed singly, or used applied to every outlet in the bathroom, Ascent gives options to the designer with an eye for quality and style. Fixtures for the bath, shower, basin and bidet are all present here, each sporting the characteristically strong aesthetic of the Ascent range, and coordinating naturally with the other. If required, these pieces can be fitted with the Vado Eco technology, limiting the overall amount of water consumed per fitting. Please enquire for further information about this sound, ecologically viable addition. Elements Air is one of the flagship Vado ranges, exhibiting their prowess for designing strong, iconic brassware that is totally suited for life within the modern living space. As a collection, it works and coheres naturally, with each piece complementing the next in any arrangement required, giving peace of mind to the designer looking to mix and match items as required. Sporting a solid, mechanical looking appearance, the Elements Air pieces are themed around the design starting point of the humble cylinder. Using this classic geometric form to create handles, spouts and mounting escutcheons, it works well to create a sure sense of modernity and an interface that is intuitive and easy to navigate. Wall mounted and deck mounted fillers for bath and basin alike are available, giving a cool, continental arrangement to those respective areas. Each piece is finished in cool chrome which is easy to clean and capable of coordinating with almost any material or colour, from wood to glass to stone. The bold geometry of Geo is immediately apparent, and is one of the most striking ranges of brassware to be found on the market. Taking the rectangular form and fashioning it into every visible component, Geo is an ingeniously constructed range. Among the range of mixers and spouts, the outlets are formed from curved rectangular strips, simultaneously strong and graceful with a futuristic, masculine appearance. Bath and basin fillers are presented here, with options for a wall mounted set for that added touch of European cool. Added to this are the range of concealed mixer valves. By keeping all pipework and plumbing behind mounting plates and escutcheons, the sleek and silent form of Geo is kept consistent throughout. For the bathroom that is looking for that final, finishing touch to furniture that needs a strong statement piece, Geo brassware might just be the one you are looking for. By tapping into the benefits of infra red technology, Vado are making the bathroom a safe, hygienic space fit for the 21st century. Eliminating the need for manual handling, the Vado i-tech range makes for a much more hygienic bathroom, cloakroom or restroom space. Simply wave your hand in front of the unit to activate a stream of water. Opting for such a simple yet effective solution ensures peace of mind that your bathroom area will retain its cleanliness upon repeated use. With this in mind, it makes the obvious choice for the public restroom with heavy footfall. The i-tech range encompasses a range of styles. All moulded into distinctly modern forms, round, curved and square shapes are all represented to fit in with a variety of interior décor schemes and arrangements. Guaranteed for twelve years, items within the i-tech range are solidly built to withstand daily use for years to come. The epitome of contemporary technological cool, Vado Identity never fails to wow anyone who witnesses it in action. Taking the very latest in modern digital technology and applying it to the bathroom brassware, a stunning fusion of engineering and design is created. Featurig a wall mounted, digitally controlled interface, Identity taps afford total user control over water flow and temperature. By giving such detailed control over, pre-set temperatures can be fixed to prevent scalding. Acting as the ideal foil to this ultra modern, technologically innovative approach, the cutaway tap outlet provides a visually striking feature. 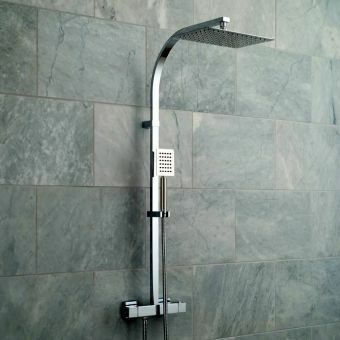 When operated, a perfectly balanced flow of water is released, creating a cascade effect with a soothing quality. A taste of tomorrow can be found peppered throughout the Instinct collection. Precisely proportioned and balanced, Vado Instinct brassware has a finely honed sense of togetherness, adding equilibrium, confidence and calm to the bathroom. Essential elements, we can all agree, for ensuring the bathroom space is a true haven within the home. As an exercise in contemporary luxury design, Instinct is a resounding success. A curious arrangement of geometric forms, Instinct bends, shapes and arranges rectangular and round forms together to create a highly recognisable aesthetic finish. Options for bath and basin are presented in deck mounted or wall mounted variations alike. For the ultimate in bathing luxury, Instinct includes a tall, freestanding bath filler to be paired with the freestanding bathtub. Enjoying a renaissance in popularity, this timeless feature of the bathroom space is guaranteed to be the highlight of the modern bathroom for foreseeable decades. All the qualities expected of contemporary bathroom brassware by a master design house such as Vado are to be found throughout the Ion series. Robust, sleek and possessing a natural ease of use, these pieces also have the benefit of coordinating naturally to give the end user the easiest possible job in completing a bathroom suite that is both coherent and user friendly. Catering for the wash basin, bathtub, shower and combined bath and shower space alike, the Ion series of brassware comes with a simple yet effective form. Anchored around strong cylindrical designs and sleek, concealed wall plates, Ion taps and valves are colour marked with simple red and blue visual cues for hot and cold water respectively. Further to the range of standard fittings, a mono bidet mixer is also available to give the option of adding an overlooked luxury piece to the bathroom suite. Vado have taken the highly sophisticated forms of Victorian and Edwardian brassware in all the ornate splendour, and given them an updated polish by integrating contemporary forms into the range. By successfully merging old and new alike, Kensington brassware is a series that is eminently suited to the contemporary or traditional interior, a hard trick to pull off. Subtly and tastefully weaving modern conveniences into the range, Kensington brassware is a triumph of design. Basin and bidet mixers incorporate pop up waste controls for quick, hygienic methods of releasing dirty water. 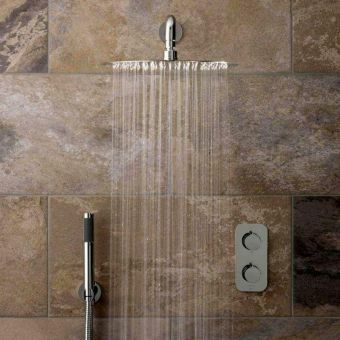 Shower valves incorporate thermostatic control technology to prevent scalding in the event of cold water loss, ensuring a safe and comfortable shower experience every time. Attention to detail has been paid to every aspect of Kensington, with authentically rendered white details applied to lever handles, and round finials as ornamental details. Inject some vitality into the bathroom area with Life. A fresh and boldly imagined range, Vado Life taps and brassware possess a strong visual presence, while retaining all the vital functional aspects of design such as reliability, longevity and an easily operated interface. Lever handles are shaped into tablet forms with a trim and tactile quality, making them a pleasure to use. Smoothly regulated by the internal ceramic cartridge, they remain silken in operation and drip free when not in use. 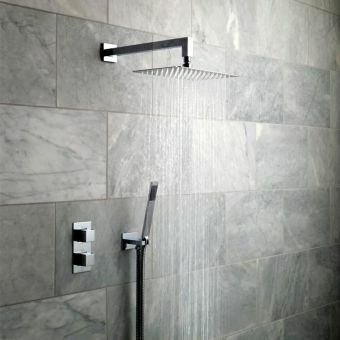 By offering options for exposed and concealed shower mixers, the Life range proffers flexibility to the interior designer to create sleekly rendered, smooth appearance or a robust, blocky finish as preferred. v Multiple options for different bath arrangements also lend further versatility to the final layout of the bathroom. Deck mounted sets of varying sizes, wall mounted spouts and a grand, freestanding bath filler are all available to suit the bathtub particular to your interior. Wearing its strong Cubist influences on its sleeve, Notion brassware is a visually compelling range designed by the prestigious studios of Vado. A coolly balanced array of cubes, right angles and rectangular forms, it is tailor made for inclusion in the ultra modern interior. Stark right angles form the visual design basis of Notion, making it an ideal choice in the space that embraces the cool look of all things masculine and minimalist. Designed as a series of modern luxury, Notion is a contemporary classic that will remain relevant for years to come. 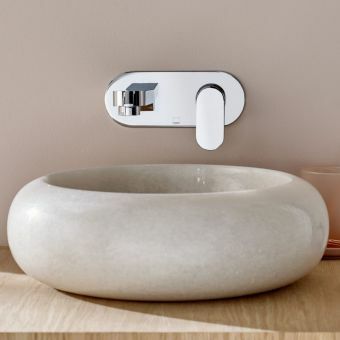 Options for basin, bidet, bath, shower and sink alike are all on show here, working in harmony to project a sense of cleanliness and robust functionality together. For the luxury hotel suite or guest room, Notion brings a presence of professionalism, vital for any business in the hospitality sector. A stylish blend of black and chrome lends Nuance a retro streak of cool, reminiscent of the cool monochrome of sixties chic. Moulded into strong forms themed around the use of simple cylindrical shapes, it is a range with ample character for the interior that looks to take chances. The contrasting colours of sleek black and metal make Nuance stand out in any context. By opting for this range, the bathroom space is elevated into one with a memorable feature. Every care has been taken to make Nuance as user friendly as possible, sporting simple interfaces that are instinctive to understand and operate. With an array of pieces for almost every bathroom application, it is entirely possible to coordinate the stylish look of Nuance throughout the whole room for a finishing touch that speaks of professionalism. As a luxury line, Nuance is totally modern, and totally suited to modern life. Taking a strong design and applying it to the whole bathroom space is always a winning option when approaching interiors from a contemporary angle. Origins is a range with a robust appearance, coated in chrome for a slick look and a corrosion resistant finish. Shower valves and tap controls alike sport the same design, giving the series a sense of cohesion and unity. Easy to grip and turn, the integrated ceramic cartridge ensures an easy operation when used, and a drip free seal when not in use. Spouts are fashioned into stylish swan necks, lending an elegance to the robust nature of the range and softening it for an overall sense of calm. 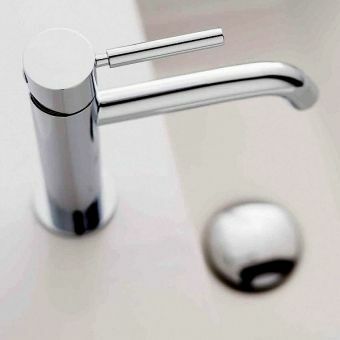 Demonstrating their ever ready eye for detail, Vado include options for integrated pop up wastes with mixers for easy waste disposal, and even include stop valves moulded into the Origins style, allowing even the most functional of plumbing parts to be coordinated with the other Origins bathroom fittings. Attentive to form and function, Vado are masters of finely balanced product design. With every attention paid to creating robust pieces for daily use, the overall presentation of Phase is one of confident professionalism. Bearing this in mind, it is easy to see why it is a popular choice among homeowners and the service sector alike. Arranged via the cool use of simple geometric forms and solidly constructed brassware, Phase is a thoroughly modern range in terms of looks and function. Each lever valve is easy to operate, and even easier to understand. Denoted with clear red and blue indices for hot and cold water, these visual cues remove any ambiguity of language, making them a favourite in hotels that cater for international guests. 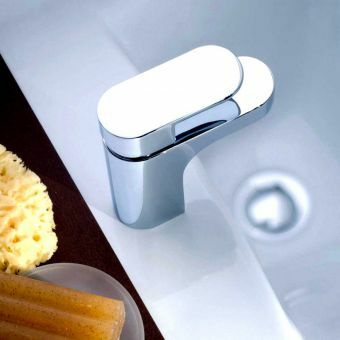 Brassware in the Phase series can be applied to the shower, bath, basin and bidet, allowing the user to apply the professional look of Phase throughout not just a whole bathroom, but from room to room throughout an entire property. Vado Photon has a futuristic element, and lives up to its name by carrying a sense of lightness throughout its strong build quality. Arranged in an easy to use fashion with a highly contemporary guise, the series is one that makes a fine addition to the modern living space. Slimline lever handles add a touch of deftness to the range, which is themed around the qualities of strength and reliability. Mixer taps and spouts are formed from strong, central columns and finished in polished chrome, complementing the levers well. 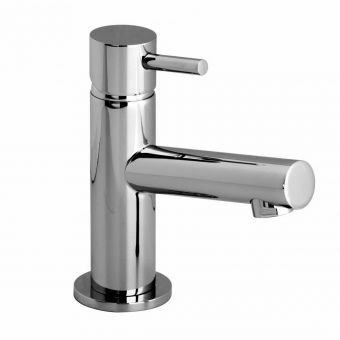 Marked with easily identifiable hot and cold indices, these taps are eminently simple to use. With suc qualities, they are a sound investment for the hotel or bed and breakfast that caters for international guests. 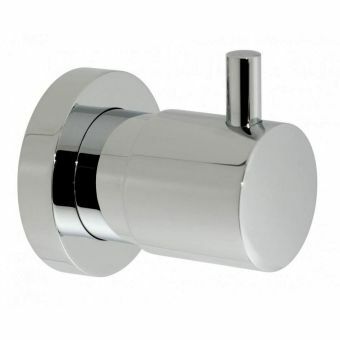 Concealed shower valves come in two different options, both in keeping with the sleek, trim appearance of the range. Additionally, a bidet mixer is included for the option to include that often overlooked bathroom luxury. Strong and bold, Sense brassware has been crafted by Vado for installation in the bathroom that embraces the qualities of solid construction and user friendly interfaces. Decidedly modern in terms of product design and execution, the piece harness all the benefits of contemporary manufacturing for a smooth operation and an easy to use interface. Fitted with ceramic cartridges, the taps and valves in the Sense range are kept drip free with not in operation, and when opened give a smooth and controlled release of water. 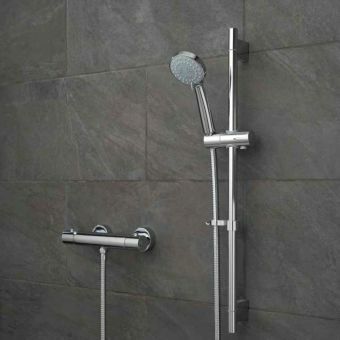 Compatible with plumbing running at 0.3 bar and above, with the exception of the shower valve, this low pressure system can be applied to almost any bathroom interior. In all, Sense makes sense. Versatile, simple to use and maintain, and capable of being paired with almost any modern interior, it ticks all the right boxes when it comes to the considering a range suitable for the contemporary living quarters. Creative design often takes in a playful element among the serious business of delivering finely engineered products, and this is demonstrated excellently here by Vado. Their Soho range is a superbly realised series of modern luxury brassware, but with a design streak that toys with geometric shapes to add their own, unique brushstroke to the range. Right angles, squares, circles and ovals jostle side by side in a cool collection that is as practical as it is aesthetically pleasing. Simple in concept, Soho is expertly exceuted to achieve the correct balance of functionality with a recognisable form. Mixers and taps for the bathing area, bidet and basin alike are all sturdily constructed with brass interiors, and coated in chrome for a gleaming finish that is easy to clean and maintain. 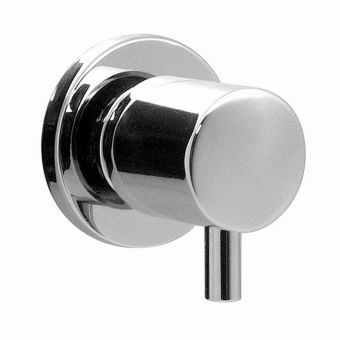 Lever valves are easy to operate, and are complemented by oval hand shower valve and circular concealed valves. If you are looking for a range that has balances the practicality with a touch of character, then Soho could be the one for you. Once witnessed, there is no mistaking Summit. A daring range imbued with plenty of futurism throughout, it is a line that cannot fail to make an impact on the bathroom. By opting for Summit, a sense of calm and control is immediately realised. Bold in design, yet eminently simple to use, Vado have rethought the whole approach to creating products we take for granted. The humble tap is given an entirely new guise. Centred around a broad, horizontal outlet that produces a wide cascade of water when operated, each piece is flanked by hot and cold controls that integrate seamlessly into the main body of the unit. Filling the basin or bath with these miniature waterfalls never fails to create a sense of tranquillity, perfect for the bathroom haven. Pieces for the basin, bath, freestanding bath and combined bath and shower space give the user the option to add this stunning effect to every feature of the bathroom. A classic of modern times, the design of Synergie is one that is bound to be remembered for decades from now. Its use of the waterfall as its central design tenet is a devastatingly simple concept. By adding these pieces to your home, the bathroom is instantly given a sense of calm and relaxation just by the method of water delivery. Broad cutaway tap outlets create a wide, horizontal cascade of water when used. Simply turning the valve of the basin or bath spout is a soothing action, and stepping into a bath filled in this manner has a new dimension to it. 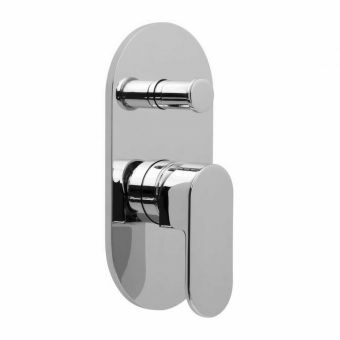 Characterised by strong right angles and a high polish, chrome outer coating, the pieces within the Synergie range have a definite character and a carefully designed attention to user control. As a collection of contemporary pieces, this is a luxury line of brassware that will remain relevant for decades. Formed around the design premise of the simple cube, Te utilises this form and arranges it into a contemporary, masculine series with plenty of visual appeal. Designed to be compatible with low pressure plumbing, Te is a versatile range with plenty to recommend it. Bold right angles and a solid appearance characterise Te. Fully in keeping with modern trends and tastes, it is a fitting companion range to the bathroom fitted with unfussy furniture and sanitary ware. Lever valves are rendered in strong rectangular forms, not only making sense from a visual point of view but giving plenty of torque and leverage for an easy use. The bathroom that opts for Te is privy to a full range of outlets and fittings. The bathing area, shower enclosure, wash basin and bidet can all be treated to the cool look of Te, giving a full and cohesive finish to the bathroom when used as a whole. As one might guess from the name alone, Victoriana is a range full of the ornate splendour of nineteenth century sophisticated designs. Modelled on the classic interiors of the time, these period pieces are a go to choice for anyone wishing to recreate the traditional look with finely crafted items. Taking on an elegantly sculpted, almost fluid form, Victoriana taps and valves are decorated with cross headed taps, finials and white indices for an authentic appearance. Exposed showers with cloche shower roses are available alongside concealed shower systems, merging the benefits of contemporary units with the timeless appearance of Victorian plumbing. Crafted by Vado in the period style, a bathroom that is finished with Victoriana never fails to adopt a level of sophistication, whether applied to the domestic or commercial setting. Reminiscent of the fittings associated with the classic designs of the Edwardian era, Wentworth taps, valves and mixers are beautifully rendered in authentic designs. Created by Vado to incorporate all the benefits of pleasing visuals with full functionality, Wentworth pieces feature contemporary innovations such as pop up waste control to create the best possible product. 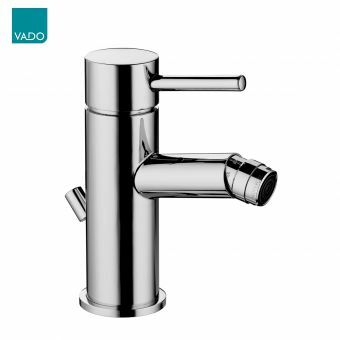 Using cruciform taps and white indices, complete with traditional script to denote hot and cold valves, Vado have succeeded in recreating the classic designs of yesteryear and bringing them to the market of today. With pieces for the basin, bidet bath and combined bath and shower space, Wentworth can grace the areas of the bathroom either singly or as a cohesive series of pieces. Suited for use with low pressure plumbing, Wentworth has the versatility to be applied to almost any plumbing system. As a line of luxury fittings, Wentworth is a faithful rendition of Edwardian elegance, and is a fine fit in the traditionally decorated interior. 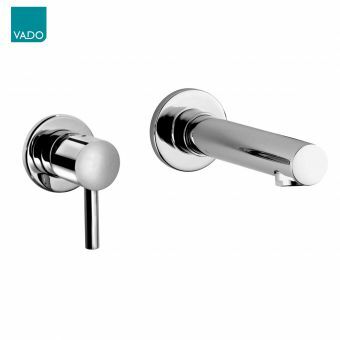 The Zoo series of brassware has been painstakingly designed and created by Vado to give the end user a menagerie of choice when it comes to adding the final details to the bathroom plumbing outlets. Realised in stunning chrome, and utilising simple shapes tastefully arranged, Zoo remains ever popular among users with an eye for all things contemporary. Strongly formed cylindrical pieces mark out the creative starting point for Zoo, with valve handles, hand showers and spouts all created from this one simple shape. Arranged into cohesive pieces, each Zoo item has an intuitive interface and a robust build quality. Running from just 0.2 bar, the majority of this range can be used with low pressure plumbing, with the exception of certain shower valves. Please check with us if you have any queries about compatibility. The interior that uses Zoo has a sleek, professional appearance. Each piece complements the next, so there is no need to worry about items not matching.